Even our very young children experience God and seek a relationship with him. To support this, we provide a place in which children in K4-5th grades can experience, express and develop their faith – in community with their peers and families, as well as adult and youth leaders. We recognize that families are the primary catechists for children of this age and aim to support them in this endeavor by providing both family-oriented and child-centered opportunities. 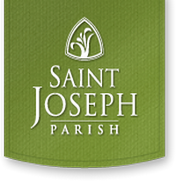 Sheri Hanson, Director of Child and Youth Ministry at 262-375-6500, ext 175 / shanson@stjosephgrafton.org. In our Child Ministry classes, children in grades K4-5th meet in small groups with an adult catechist to learn the basics of the Catholic faith through age-appropriate activities. Students in the second grade will prepare for First Reconciliation and First Communion through these classes and a corresponding retreat. Child and Middle School Youth Ministry classes (K4-8th grades) meet on the same weekend, 9:15 a.m.-10:15 a.m.
*Financial difficulties are no reason to keep your children from participating in Christian Formation. Contact Sheri Hanson/ Director of Child and Youth Ministry (shanson@stjosephgrafton.org/262-375-6500, ext 175) or the Christian Formation office (cfoffice@stjosephgrafton.org/262-375-6500, ext 120) to make arrangements. As we say, “ALL ARE WELCOME”. Each summer we offer an exciting and entertaining Vacation Bible School for children in K4 – 4th grades. Our campers explore God’s love through crafts, singing and games. Our volunteer youth counselors (5th – 12th graders) enthusiastically lead and join in the fun activities with the campers. Adult leaders supervise and organize the different activities. In 2019, our VBS will run from June 17th – June 21st, 1:00 p.m. – 4:00 p.m. daily at St. Joseph Parish. Registration is available online at https://vbsmate.com/stjosephparishgraftonwi. Need-based scholarships are available; please contact me if you have any questions. We also are seeking energetic youth and adults to guide and support our children as they learn about God through fun activities. If you are an adult or youth, 5th grade – college, and are able to volunteer, please contact me. Children of adults who volunteer all 5 days will receive full scholarships to VBS. Links to the forms for these two groups of leaders are at the end of this section. Youth volunteers are asked to come in June 10th-12th from 1:00-4:00 p.m. daily to setup, decorate, engage in leadership activities , practice the songs and games (snacks will be provided). Children of this age are developing talents and abilities that can be engaged in service to others. By working with their families, our children can learn through personal action and observations of others how to serve both our church and our community. Our goal is to find and organize service projects that welcome families with children of this age. Please check the 2018-2019 calendar for the dates of our monthly family service projects, as well as a list of our monthly collections for the Human Concerns Committee. Throughout the year, additional opportunities will be advertised as they arise. Please notify Sheri Hanson, Director of Child and Youth Ministry, of any opportunities that might be appropriate for our families at 262-375-6500, ext 175 / shanson@stjosephgrafton.org. Child Ministry students are invited to express and share their faith with the parish through an annual art show. Students’ original masterpieces, which illustrate an aspect of their faith, a bible passage, or a Church event, are displayed for the parish to view, reflect on and appreciate. Our next art show will be the weekend of February 2-3, 2019 after all Masses. Submissions are due Sunday, January 20, 2019 to the Christian Formation office.